As Facebook-owned platforms continue to copy Snapchat's features, the app could lose up to 40 percent of its users within the next year, writes Hill Holliday's chief digital officer. I recently had the following text exchange with my young millennial friend "Mikey." "I work in digital marketing ... my life is Snapchat and Bitmoji." "Omg. You might be disappointed in me. I removed Snapchat from my home screen." "Ha! You switched wholly to Instagram. I get it." "I didn't have hardly any followers on Snapchat though." "That seems to be a common theme." I wasn't surprised by Mikey's news. I've heard many others express the same thing while seeing the view counts on my own Snapchat stories trend downward. Since Facebook-owned Instagram introduced "Stories" last August, the company continues to steadily pick-away at Snapchat's core features, most recently launching a pilot of "geostickers" at the same time as Facebook Messenger globally rolled out "Messenger Day." And just this week, Facebook globally rolled out its version of "stories" complete with an updated camera app filled with "masks" and "interactive filters." Sound familiar? To investigate whether there was more to my anecdotal evidence of Snapchat abandonment in favor of Instagram, I turned to our in-house research group, Origin. We surveyed 700 people across the US, 60 percent female and 40 percent male, and then we honed in on Snapchat and Instagram users. We found that 21 percent of respondents use Instagram exclusively and 10 percent only use Snapchat, while 36 percent use both platforms regularly. Snapchat users showed a higher loyalty toward Instagram, with 38 percent of Snapchat users considered Snapchat loyalists and 50 percent of Snapchat users considered Instagram loyalists. Twenty-one percent of Snapchat users were contemplating abandoning Snapchat within the next year, while only 16 percent of them had similar thoughts about Instagram. When we asked Snapchat users whether or not they would delete Snapchat if Instagram "stories" added geofilters, 19 percent of them said yes. To be sure, we fielded yet another survey to a new sample audience of similar size and demographic and asked the same question. Eighteen percent of those respondents also said, yes, they would delete Snapchat, while an additional 30 percent of them were "unsure." Bottom line? As Facebook-owned platforms continue to copy Snapchat's features, Snapchat could lose up to 40 percent of its users within the next year. So why is this happening? We found only one reason and it's exactly the same reason why my friend Mikey removed Snapchat from his home screen. Our survey respondents said that they did not want to establish a following on Snapchat. In other words, they already have a built-in following on Instagram. 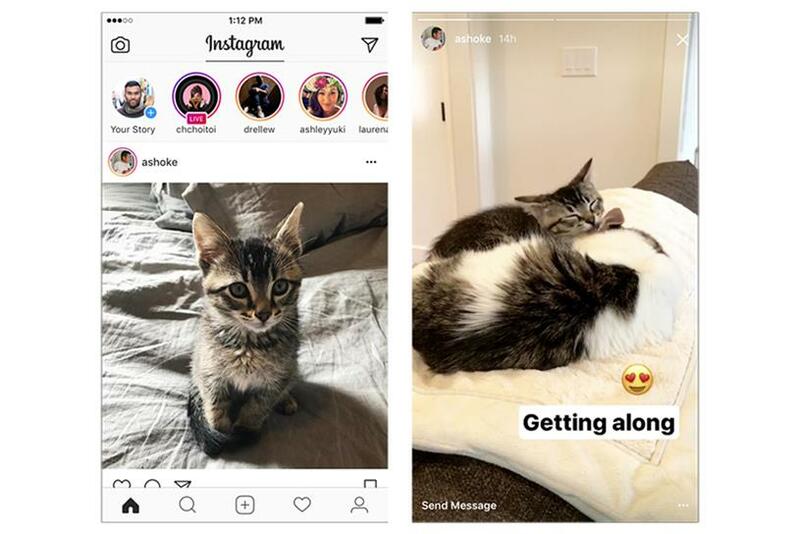 So when Instagram launched Stories, users had to do absolutely nothing to get instant engagement, at scale, on their story posts—so why put in the effort to grow a Snapchat following? While these survey results are alarming for Snapchat given that user growth is the top concern for its investors, this by no means is the end of their story. eMarketer projects growth for Snapchat coming from new (and older) audiences as the company doubles down on media partnerships that position the platform as more "TV-like." I'm also not suggesting that brands (at the moment) rethink their advertising strategies with Snapchat. I still very much believe that it's an important place to be for brands catering to a young demographic, as long as they're willing to respect the culture of Snapchat. Yet, as the very features that propelled Snapchat into the spotlight become commoditized, it's crucial that the company finds new ways to make its platform sticky and unique in order to keep its current user base from churning, while hopefully welcoming back those who've abandoned it to Instagram. —Mike Proulx is chief digital officer at Hill Holliday.